The True Barcelona vacation package is perfect for guests who are simply looking to visit the wonderful city of Barcelona or who are beginning/finishing their Mediterranean Cruise in this exceptional city. Allow True Spain to bring this beautiful and alluring city to life! 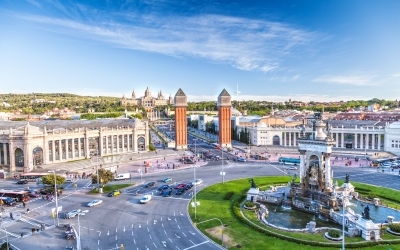 Explore some of the city's major landmarks with your own local True Spain tour guide to truly see why Barcelona has been called one of the most important cultural hubs in Europe. True Spain will show you the "real" Barcelona, providing recommendations for restaurants and activities preferred by the locals. ¡Bienvenidos a Barcelona! -- Welcome to Barcelona! Meet your True Spain host at the airport or harbor in Barcelona, and make your way to your luxury Barcelona hotel. Once settled into your hotel, venture outside to explore one of Europe’s most vibrant centers of modern design and extraordinary cuisine. Enjoy a guided tour of this exciting city and discover incredible works of architecture including Sagrada Familia and Park Guell. Stroll Barcelona’s grand boulevards and explore the narrow streets of the Gothic Quarter and La Ribera. Visit some of the city’s excellent museums, such as the Picasso Museum and Miro Museum, but also be sure to take in some of Barcelona’s shopping districts, stopping at upscale boutiques along Passeig de Gracia and design shops in the stylish Born and Raval neighborhoods. By the end of your stay in Barcelona, we are sure that you will love this extraordinary, exciting, and truly unique city!